Furtwangen University lies in the Black Forest region of southern Germany. This beautiful area, with its rolling hills and vast forests, is one of the most popular holiday areas in Germany. Yet, Furtwangen’s location in the very heart of Europe means many major cities, such as Strasbourg, Stuttgart, and Zürich are not far away. What’s more, this is one of the fastest-growing and most vibrant economic regions in Europe, home to many global companies such as Porsche, Daimler, Bosch, Siemens and SAP, with whom Furtwangen University maintains excellent contacts. There is a welcoming atmosphere for students from around the globe on the HFU campuses. “We are truly international,” says HFU President, Dr. Rolf Schofer, “with students from over 90 different countries, several degree programmes taught entirely in English, 140 partner universities worldwide and an international body of staff.” In 2013 Furtwangen University had the highest percentage of non-German academic staff of all universities in Germany. Furtwangen University (HFU) is a state-run university of applied sciences with around 6000 students, located on 3 campuses in and near the Black Forest. Being small enables us to focus on quality and the needs of our students. 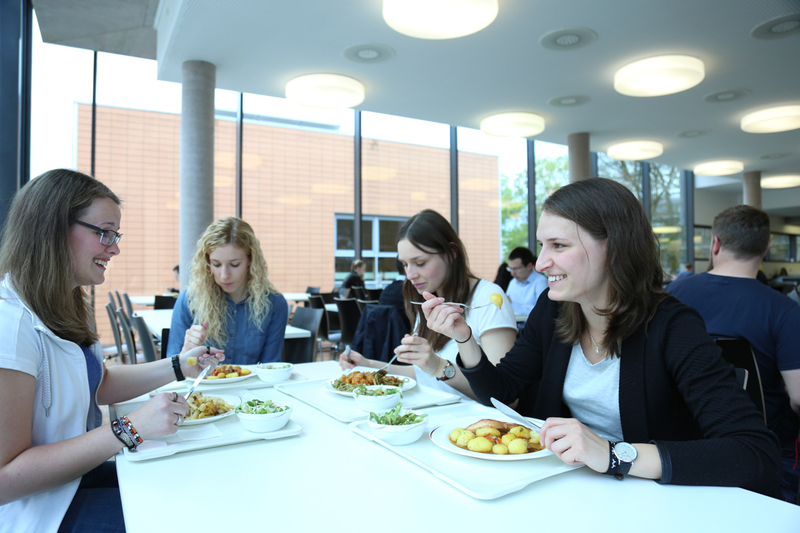 We have a great deal to offer – a dynamic, international atmosphere, forward-looking degree programmes, exciting research opportunities, high-tech facilities, a safe and supportive learning environment, top quality teaching, and close links with the business sector. With over 60 innovative and practical degree programmes at both bachelor and master’s levels, and the option to do a doctorate in some fields, we provide a wide range of academic opportunities. Our strong international orientation means we offer an ever-increasing number of programmes taught in English, besides our bilingual and German programmes. Students from over 90 different countries around the world have already graduated. Almost half of our degree courses include an internship and we encourage our students to take exchange semesters abroad. We make this easy by providing all the organizational support students need, including the option of studying at one of 140 partner universities around the globe. All our degrees are internationally-recognized and our accreditation award means the high quality of all our degree programmes and services is guaranteed university-wide. Over 170 professors, with top academic, professional qualifications and broad-ranging international experience, provide outstanding teaching. 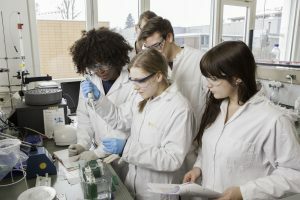 High rankings in European university league tables reflect the excellent reputation for teaching, research, and employability which we enjoy among students and employers. Our students benefit from friendly contact with professors and staff, as well as from our outstanding support services and facilities. 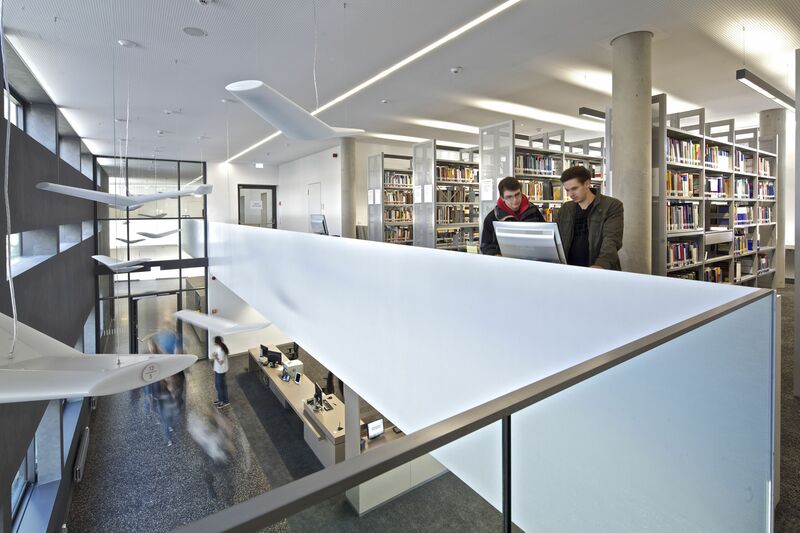 These include ultra-modern laboratories, a high-tech IT infrastructure and one of the best university libraries in Germany. As an Elite Sports university, we also make it easier for top athletes to continue their studies while competing. 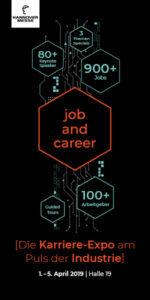 A practical, top quality, “Made in Germany” degree from a prestigious university guarantees excellent career prospects. It is possible to go on to do a postgraduate master’s degree and even a doctorate (PhD) in some fields. Our doctoral programme, which is organized with affiliate universities, has allowed many of our master’s graduates to take this step. Some have now become professors themselves. The degree programmes are made up of a series of modules which are completed over a period of several semesters. These are usually taught in the form of lectures. Project work and presentations, often carried out in groups, are an integral part of our programmes. Many of the English and bilingual programmes have a strong international focus, including languages such as French, Spanish or Chinese and intercultural communication modules, as well as integrated exchange semesters and foreign internships. International students have the option of doing an internship in Germany or choosing another country. The Furtwangen Campus, the original and largest of the 3 campuses, is located in the centre of the small town of Furtwangen (c. 10,000 inhabitants), in the heart of the Black Forest. Furtwangen was historically an important clockmaking town and the university has its origins in the former clockmaking school. The modern campus has high-tech labs and an IT infrastructure. The Schwenningen Campus is situated in the twin town of Villingen-Schwenningen (c. 80,000 inhabitants) approximately 30 kilometres east of Furtwangen. 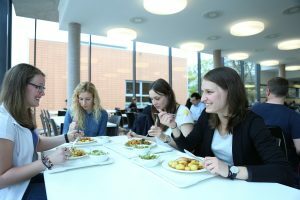 Students studying at the Schwenningen campus can take advantage of all the facilities this bustling town has to offer, from shops, restaurants, pubs and cafés, to a modern indoor swimming pool, an ice rink and cinemas. 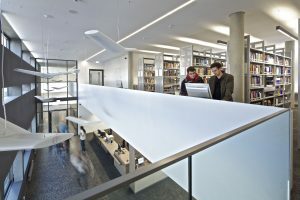 Established in a former clock factory, the campus architecture is a mix of historic and modern buildings, including the award-winning library completed in 2011. The newest and smallest campus in Tuttlingen (c. 35,000 inhabitants) is located in an area of green countryside, commonly known as “Medical Valley”, in the centre of the medical technology industry. The town is built around the Honberg Hill, site of a ruined medieval fort, nowadays used as a picturesque location for festivals and concerts in summer. Tuttlingen is a world centre of medical equipment production with 50% of the world’s surgical equipment manufactured here. HFU graduates have excellent career prospects due to the applied nature of our innovative degree programmes. Our academic programmes are specifically designed to provide graduates with the practical skills and knowledge required in the working world. Research is an important part of many of our master’s degree programmes. It aims to meet the specific needs of end-users, finding practical solutions to real-life situations. HFU cooperates closely with the numerous high-tech firms in the fields of electrical and mechanical engineering and in the automotive and computer industries which are located in this area of southern Germany. Professionals are invited to lecture or are involved in developing the curriculum and also act as internship or thesis partners. 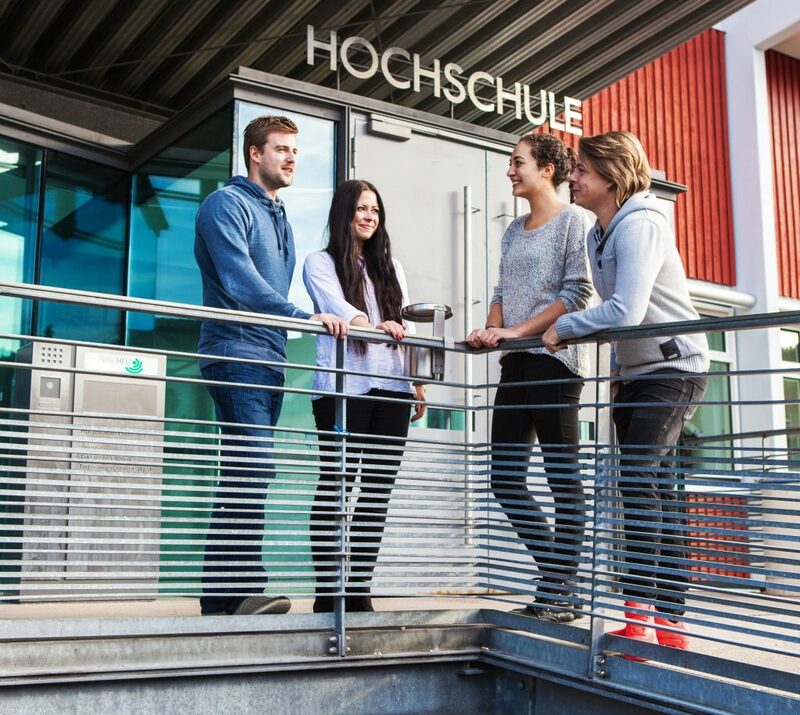 These factors explain why Furtwangen University is ranked highly in the area of employability by both national and international businesses, and by our students themselves. 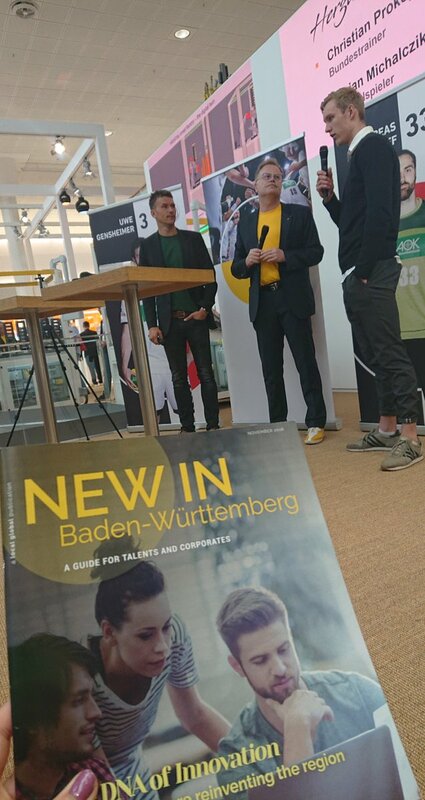 More information can be found on our website: https://www.hs-furtwangen.de/en/.